Reinder Bruinsma, Ph.D., is the retired president of the Seventh-day Adventist Church in the Netherlands, Huis ter Heide, Netherlands. Worldwide missions was not uppermost in the minds of the earliest Adventists. Immediately after the 1844 disappointment, for example, the small group that was to form the nucleus of the Seventh-day Adventist Church believed that "the door" of grace had been "shut" against the world at large. Such a belief left little reason to evangelize. But after just a few years, this outlook began to change, and in its place a sense of responsibility for the world began to emerge. A strong and abiding mission awareness followed. 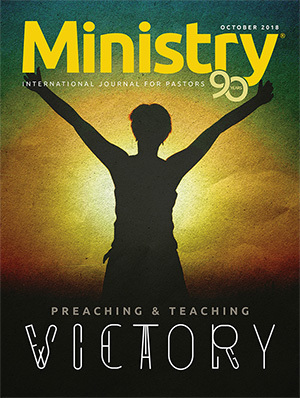 In the decades that followed, practically all the attention of the Adventist movement was focused on missionary work in the United States and Canada. Preaching the message to "every kindred" and in "every tongue" meant primarily white Americans: the German, Scandinavian, Dutch, and French immigrants flocking to the new world. However, once the overseas missionary outreach of the Adventist Church began in earnest, it was unstoppable. Within a quarter of a century after J.N. Andrews' departure to Switzerland in 1864, an Adventist presence was established in almost every European country. Soon Australia and South Africa followed, and before too long Adventist missionaries went to all continents. 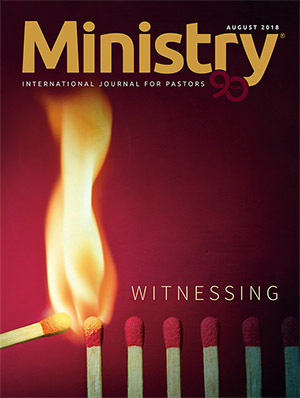 No period in Adventist history was so mission-focused as the thirty years (1901-1930) when A. G. Daniells and W. A. Spicer were the leaders of the church. Over fifty countries were "entered" during this period. In 1890 the church had one "overseas" worker for every North American employee. In 1930 the ratio was dramatically different: three workers outside of North America for every worker "at home." 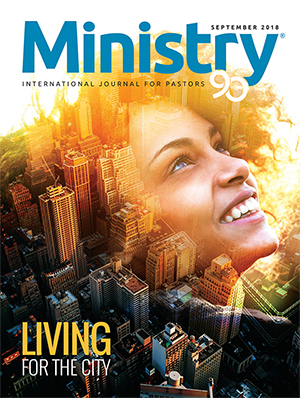 During this era mission giving was higher (as a percentage of tithe) than it has been since, and the numbers of missionaries sent out in the late 1920s equaled those of the 1960s and 1970s, when the church was many times larger. Great strides have been made in the last seventy years. An Adventist presence has been established in all but a few countries, and global membership has increased dramatically. However, the number of cross-cultural missionaries has been sharply declining in the last two decades. Today there are fewer than eight hundred official Adventist missionaries, less than half the number only twenty years ago. Meanwhile, fewer and fewer missionaries are involved in "front-line" evangelism. Most workers who leave for overseas do "maintenance" work. Fortunately, some trends are counterbalancing these recent developments. 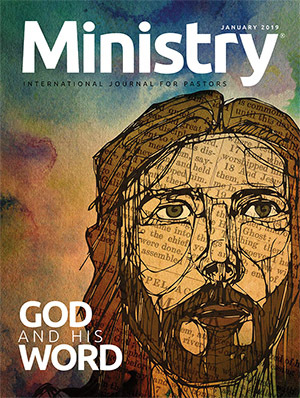 The Global Mission initiative (started in 1990) has done much to refocus Adventism on its global task. 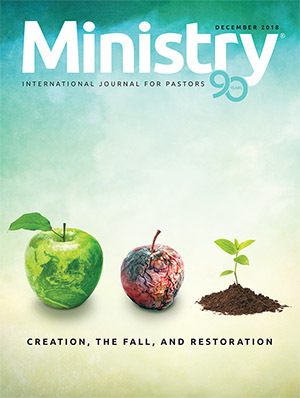 Adventists are being reminded that the work is not almost "finished," as some have believed, based on glorious reports that almost all countries had been "entered." Thou sands of regions, cities, and ethnic groups remain "unreached," not only with the Adventist message, but with the gospel in any form. 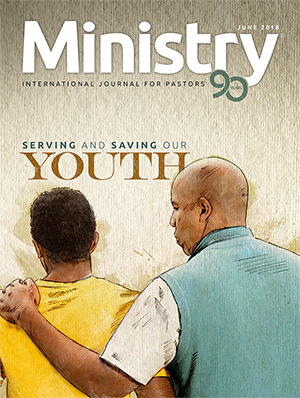 Many younger and older Seventh-day Adventists have recently become excited about short-term mission service. Unfortunately, the official church has often not been able to find suitable assignments. Some have found a slot by signing up with one of the "independent" ministries, many (though not all) of which are supportive of the church. 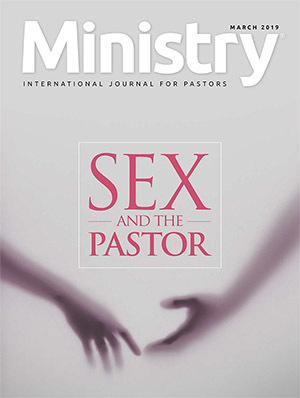 The church needs to take a careful look at its cross-cultural mission pro gram. Missionaries are still needed. 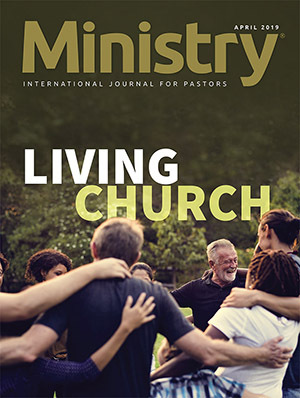 Church workers must continue to go "from everywhere to everywhere." Be coming and remaining a missionary must, once again, be an exciting option. 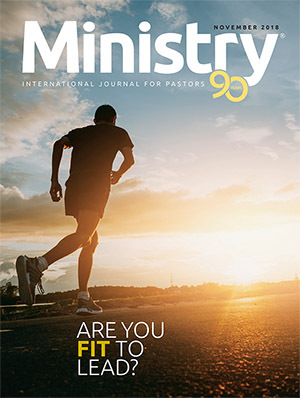 At the same time, the church must care fully consider whether so many missionaries should be assigned to institutions, many of which contribute little to the actual mission of the church. In other words, we must assess how a shift back from "maintenance" to "front-line" work can be achieved. The church is experimenting with new approaches to mission. Some "global mission budgets" are set aside for true front-line work. Realizing that volunteerism offers an enormous potential, the church is developing ways to tap this vast resource in a more efficient and dynamic way. "Tent-making" is a concept the Adventist Church is now beginning to embrace in a more structured way. 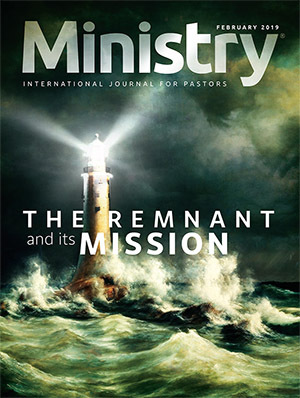 Tentmakers may be de scribed as Christian professionals medical experts, professors, engineers, consultants who work in countries that do not welcome missionaries. These workers seek every opportunity to share their faith, often in secret, and in some locations help organize "under ground" churches. As the Adventist Church in the West struggles to hold its ground, it runs the risk of becoming too inward-looking. Being a missionary now carries a major risk: one cannot always be sure of reemployment upon return to the homeland. Budgets are tight; the sud den return of a missionary may cause insurmountable financial problems for the "home field." And, of course, few people are prepared to accept a mission call if their future employment may be in jeopardy. At the same time some church entities in the West attempt to limit the outflow of funds to economically-challenged areas of the world. Some church leaders, out of touch with the needs of overseas countries, have come to believe that much more money is needed at home. They therefore find ways to keep the money closer to its source. They feel they cannot afford continued high-level support of the "foreign mission" work. Thus, members in these countries come to believe that their own local church, conference, or union must have financial priority. This approach, however, is largely counterproductive. Involvement in mis sions whether by actually going on a mission assignment or by raising funds for mission projects has a dual effect. It not only helps the church in the "mission field" to become stronger but also builds morale at home. It fosters a sense of global solidarity that has always been a critical part of the genius of Adventism. It also causes people to feel that they are part of something significant and successful. Reliable indicators tell us that if people are accurately informed about what happens overseas and are creatively encouraged to support missions, the average church member will give even more both to mission projects and to the church at home. Many church leaders see this assumption as risky, but the facts bear it out. 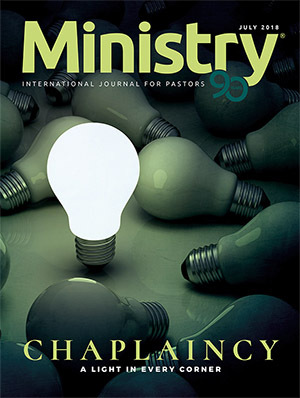 The shift from pure maintenance to an emphasis on fresh initiatives, including branching out into new geographical areas, is not an idea that should be embraced only by our fellow believers in the less-developed parts of the world. As I attend church commit tees in the many different countries of my division, I see that the vast majority of agenda items and practically all of the available finances are related to "maintenance." There is a dearth of new initiatives, of bold plans that capture the imagination of the members and, thus, the surrounding culture. The financial problems in the Western church, I believe, are not primarily the result of over-extension and over spending. If this is true, they cannot be solved simply by initiating rounds of cost-cutting. That approach merely perpetuates a vicious circle. Once church members come to feel that little of significance is happening in their church, they are less inclined to support it. The problem is not so much that the church is spending too much, or even that it is spending money on the wrong things, but that its income is not growing, especially when inflation is factored in. The Seventh-day Adventist Church has never had a lack of programs. In fact there is a frequent and justified com plaint that programs follow each other with such frequency that the local churches have barely begun to test plan A when plans B and C are already being promoted. Local churches should never feel compelled to "buy" into every program. Some things that fit in one part of the world might be less useful elsewhere. Churches differ in social, demographic, and ethnic composition. They are also at different stages in their development and possess divergent traditions. It should be not only permissible but highly advisable that a local congregation be encouraged to carefully pick and choose which programs they adopt and which they decline. The Adventist Church must be known for its unity, but it should not attempt to be a global, ecclesiastical McDonald's chain, where the menu is duplicated almost everywhere. There has been a drastic change in the way postmodern people react to spiritual truth. Truth is no longer primarily propositional. Instead it is seen to be much more relational. This has tremendous implications for public and personal evangelism. People may still come to a series of lectures about the ancient world, or may watch a video about a particular biblical topic, but these things will not often persuade them to become Seventh-day Adventist Christians. Evangelistic activities, whether individual or communal, can succeed only if they scratch where it itches. They must address the questions of post modern people. And they must be targeted at specific groups in society. If a person wants to have a meaningful conversation, he or she cannot talk to everyone at the same time! Not everyone is interested in the same questions. Not everybody speaks the same language and that is also literally true, even within one country or city. The church must encourage experimentsm, allow for pilot projects, proceed by trial and error, be daring and innovative, and be willing to risk failure. Communication cannot take place when the language used by one party is "foreign" to the other. Communication is a complicated process in the best of circumstances. Much of what is sent by the speaker is lost in the "noise" of the communication act itself and therefore is not heard by the receiver. It is vital that the speaker and hearer use the same language. When the BBC news announces the day's cricket matches, I am lost. I do not have a significant enough background in the game of cricket. I have no idea what "wickets," "innings," and "overs" are. For the majority of the people in today's secular society, religious language is just as mysterious. Terms like atonement, justification, sanctification, covenant, and salvation often mean little, if anything. Many people today have no idea who Jacob, David, Solomon, lames, or Nicodemus might have been. 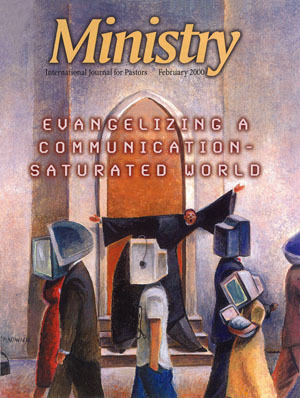 Adventist communicators, by and large, have not mastered the art of communicating to secular people. That needs to change. An added difficulty is that Adventists have their own peculiar jargon. Adventist communicators must stop using a language as obscure to many fellow believers as ecclesiastical Latin was to the average Roman Catholic in the 1950s. They must challenge the members to witness in a language that non-Adventists, even non-Christians can follow. This is not an easy task, even when we see it providing us with the extra bonus of giving ourselves a better appreciation of the concepts we seek to express to others. Those on the cutting edge of communication face an enormous challenge. Many faithful members who foot the outreach bill of the church tend to be rather traditional in their outlook and enjoy the old ways of doing things. These often elderly and staunch sup porters must be taught that what worked in the past might not work now, and that unless innovative and more daring, many of our publications and media presentations will appeal only to traditional Adventists, and not to those we are desperate to reach. 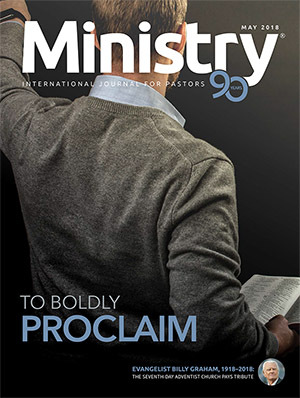 As we enter a new millennium, the mission of the church remains un changed. But the way in which the church works and the way in which we, individually and corporately, witness to our faith will have to change to meet the rapidly changing world around us.